Visiting Straiton recently were a group of motorbikers from Belgium, followed by a group from Germany and later that afternoon a group of cyclists from Walkers Cycling Club in Kilmaurs, pictured above, stopped for refreshments. The cyclists had set out in the morning and were on the homeward stretch of a 100 mile round trip taking in Girvan, Dailly, Ayr and Prestwick. Cyclist have, like motorists, appreciated the recent road improvements on the Ayr road (the B7045) and Ayr Roads Cycling Club often train on Tuesday evenings in the direction of Straiton. 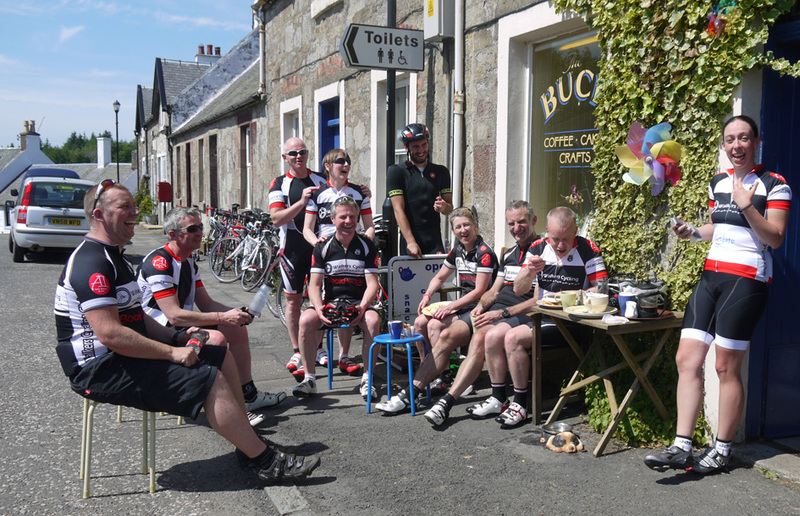 This entry was posted in Uncategorized and tagged Cycling, Motorbikers, South Ayrshire, Straiton, The Buck by VisitStraiton. Bookmark the permalink.